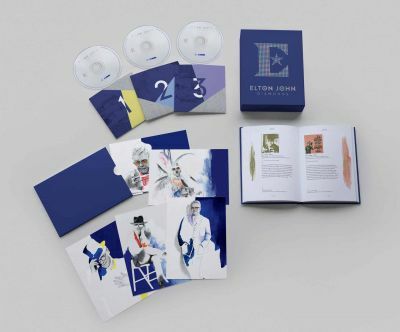 We are selecting Diamond Moments from Elton's 50-year career to celebrate the November 10th release of Elton’s ultimate greatest hits collection, Diamonds. 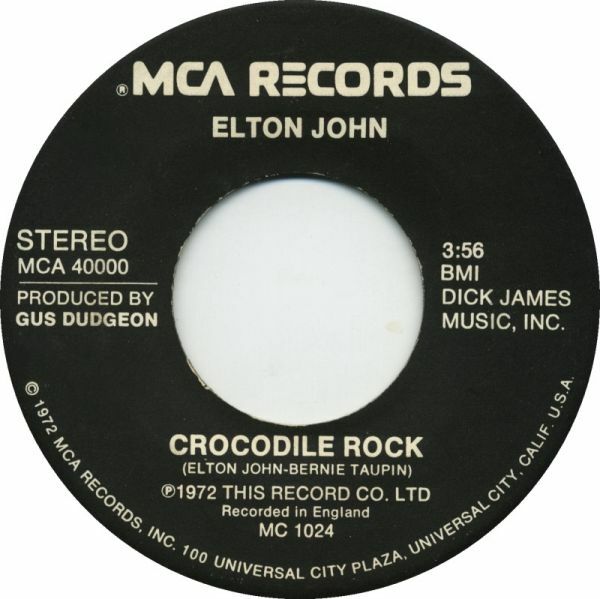 While the world at large may define a crocodile as a somewhat frightening reptile, best kept at a distance, to many Elton fans it is regarded with great fondness for the song it inspired 45 years ago. 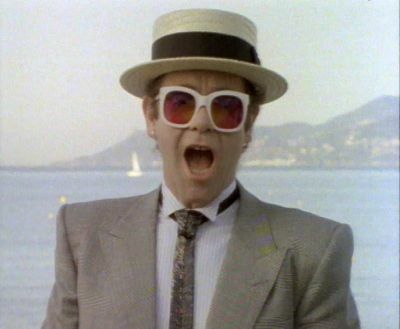 Crocodile Rock, the initial release from Elton’s sixth studio album, Don’t Shoot Me I’m Only The Piano Player, was his first single to reach #1 in the United States, leading the way for a half-dozen more to follow over the next four years, and his second Top 5 song in the UK in less than a year. Issued in the UK on October 27, 1972 (three months before Don't Shoot Me... would come out) and on November 20 in the US, the single topped the Billboard Hot 100 for three weeks starting on February 3, 1973, and spent a total of 14 weeks in the Top 40 – the longest run of any Elton single at that time. This was also the first song released as a single by Elton's new label, MCA Records (his previous records were as a Uni or Congress artist). It originally had a black-and-white design on the label, incorrectly identifying the song as being recorded in England, before going to their iconic rainbow logo on the 1973 pressing. 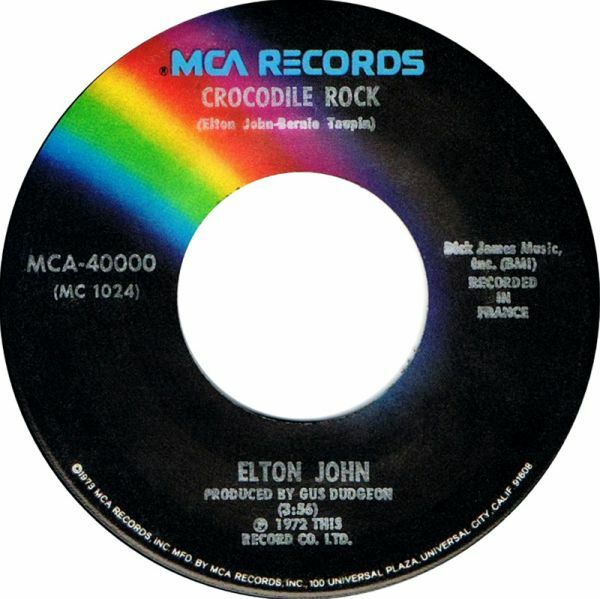 'Crocodile Rock' on MCA Records in 1972 (l) and 1973 (r). 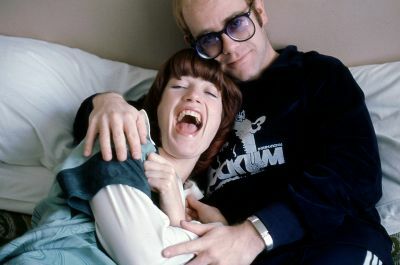 The up-tempo number about a fictional dance craze was recorded in early June 1972 at the Château d Hérouville in France by current band members Davey Johnstone and Nigel Olsson on electric guitars and drums, respectively, the late Dee Murray on bass, and Elton on piano, vocals, and, for the first of only four times in the studio, Farfisa organ. The band also contributed handclaps to the chorus. The original track sheet for 'Crocodile Rock'. ★ The lead Farfisa lick tips its hat to Red River Rock by Johnny and the Hurricanes and Chris Montez’ Let’s Dance. ★ Davey’s bright guitar part under the “La-la-la…” part of the chorus resembles that in Bobby Darin’s Dream Lover. ★ That same hook (which always elicits an enthusiastic vocal response from Elton’s concert-goers) evokes Pat Boone’s 1962 hit Speedy Gonzales, as well as Cry Myself To Sleep by Del Shannon from the year before. ★ Bernie’s lyrics, written first, as usual, got the party started by shouting-out songs such as Rock Around The Clock by Bill Haley and his Comets. 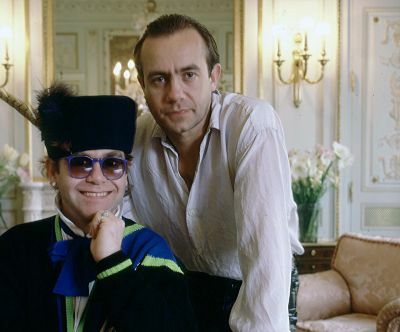 Elton first performed Crocodile Rock on stage during the Royal Variety Command Performance at the London Palladium on October 30, 1972, with concert sound engineer Clive Franks playing a Farfisa organ dressed in a crocodile costume (one night before Halloween, it should be noted). This same set-up was used during Elton’s iconic concert at the Hollywood Bowl on Sept 7, 1973. On October 25, 1977, Elton recorded his appearance on The Muppet Show (broadcast in February 1978) at Elstree television studios in England. On the programme, he performed Crocodile Rock in a swamp full of the animals dressed in one of his more elaborate costumes...which he would wear 40 years later in the film Kingsman: The Golden Circle. During his first residency in Las Vegas, The Red Piano, Elton did not perform the song but would occasionally wear a Crocodile Rock-inspired jacket on stage. The mournful tone of the lyric was emphasized by Elton when he re-introduced the song, in ballad form, to his setlist in the 1990s. Crocodile Rock, recently given a new arrangement based on the original 45 years ago, continues to thrill audiences as it occupies a place of prominence in his concerts, including the Million Dollar Piano. Diamond Moments: "I'm Still Standing"
Diamond Moments: "Don't Go Breaking My Heart"